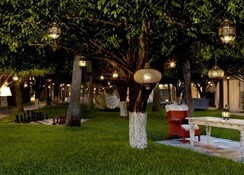 This unique luxurious design hotel is excellently located directly on the beautiful white sandy beach. 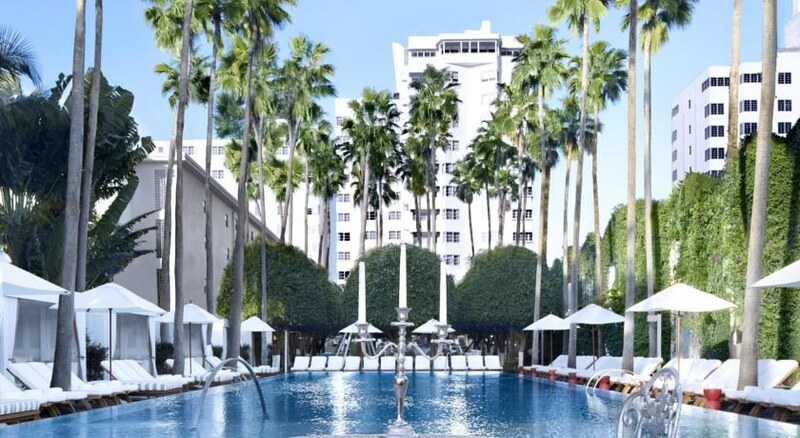 Attractions such as the Miami Beach Convention Center- Bass Museum of Art- Lincoln Road Mall- New World Symphony- the historic Jackie Gleason Theater- Ocean Drive with its plentiful restaurants- cafes and shops and of course the famous South Beach Art Deco District are just a few steps away. There is a landscaped pool area and a rooftop spa. Trainers and yoga instructors can be arranged in the 24-hour fitness center. 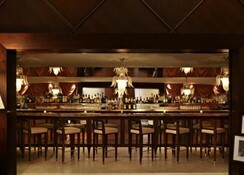 Dining ranges from farm-to-table Italian cuisine to sushi, while the vibrant nightlife includes a chic cocktail bar and a subterranean club with DJs. 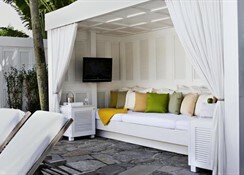 The white-on-white rooms and suites offer marble accents and bathrooms with rainfall showers. All have flat-screen TVs, iPads and iPod docks, plus WiFi. Ocean-view quarters with private balconies and poolside bungalows are available. Enjoy dining at the hotel's 2 onsite restaurants Bianca offers relaxing garden views Umi Sushi and Sake Bar specializes in sushi. Order from 24-hour room service to satisfy your hunger without leaving your room. For your convenience, breakfast is available for a fee. This property is 3 minutes walk from the beach. 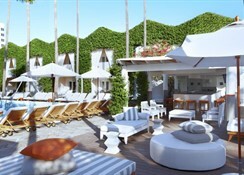 Set on the soft sands of Miami Beach, this urban hotel features a unique main floor with indoor and outdoor areas.